The Songs of Our Families is a unique project, very close to my heart. It is so special to me because it shines the spotlight on the songs of my mother, Penka Encheva. All of my grandparents and also my father have already passed away, so my mom is my only living connection with my past and my heritage. I feel that this project will reinforce and enrich this connection and will present me with more keepsakes and treasures to pass on to my children and future generations. My mom learned how to sing from her mom. But she was told that she has inherited her amazing voice from her grandmother Penka, for whom she was named. We don’t know, as they never met. I wish there were at least a picture of her. This is why I believe The Songs of Our Families project is so important. We are given an opportunity to preserve the family memories, images and sounds. We are given a chance to bond our future generations with their past. And when I hear at home my kids humming to themselves the tunes of “U Radini Gosti Doshli” or “Zalyubih si Mamo”, I know that I am doing something right. I was raised in a family, where the traditional Bulgarian folk music was a constant. Both of my parents loved singing, and my dad also played on the accordion. I remember my parents always singing and playing. Wherever we go, my dad would first put the accordion in the trunk of the car. Friends, family and coworkers loved my mom and dad’s performing, and asked for more and more. My mom told me that in my very early years, when people would ask me “What do your parents do?,” I would answer, “Daddy is playing, Mommy is singing, and I am dancing”. That was the normal to me. Both of my parents started as self-taught musicians. In his 20’s, my father played in the folk orchestra “Purvomaiskata grupa” with which he recorded dance instrumentals (hora) in Radio Plovdiv and Radio Stara Zagora, and also released a small vinyl record. Later, he joined the State Folklore Ensemble in Plovdiv, now called Ensemble “Trakia.” There, in 1963, at an audition for new female voices, he met my mother. She was a college student, studying to become a teacher, but dreaming to be a folklore singer. Three years earlier, she had won the national “надпяване” (something like folk festival but with competitive character) for the Dobrudzhan region of northeast Bulgaria, which renewed her wishes and hopes to join an ensemble. My mom was one of only two women selected at the audition. However, shortly after, the Ministry of the Culture in Bulgaria decided that in so small a country only one State Folklore Ensemble could be supported and so shut down all the rest but the one in Sofia (Filip Kutev). That unfortunate event started the teaching career of my mom and prevented her dream of becoming a professional folklore singer from becoming true. Years later, when Ensemble “Trakia” was recreated again in Plovdiv my mom felt that life had taken her in a different direction but her sorrow was still there. 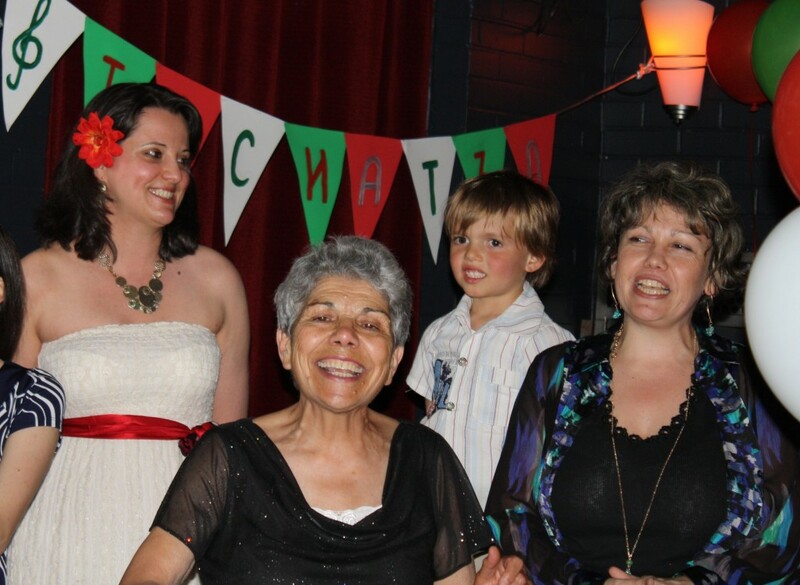 This year, joining the Bulgarian Voices of Seattle Women’s Choir has rejuvenated my mom. 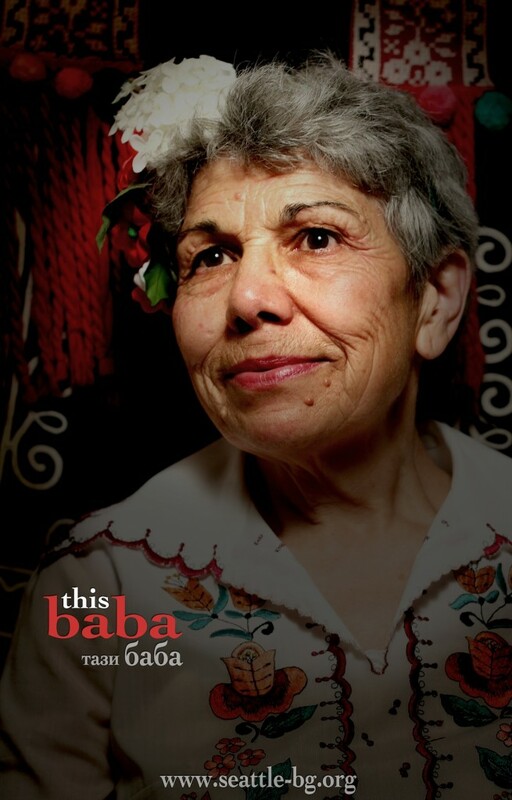 At age of 71, so far away from Bulgaria, The Songs of Our Families project presents her with this incredible opportunity to record her songs and preserve them for future generations, with all the history and knowledge behind them.